A new Greenman has made it through the fires. It’s been awhile since I’ve made one and I started this guy in September when I picked a variety of grape leaves. They must be used fresh unlike oak leaves that last for years. Bacchus is the Roman god of wine and Dionysus is the Greek god of wine. I like wine too. So I combined the Greenman with a couple of gods and voila!! 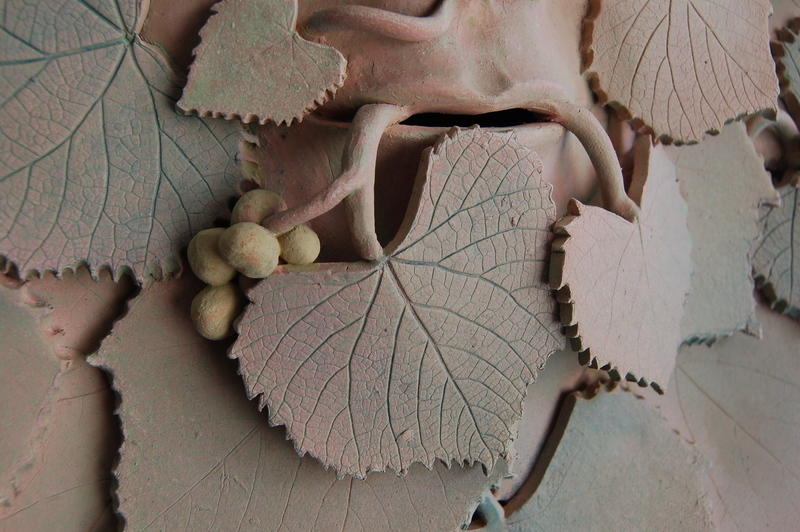 The addition of grapes & curlicues completes the references to the fruit of the vine. I finished this piece with a spray of various green stains that are fired on at stoneware temperatures. Ready to hang indoors or outside. 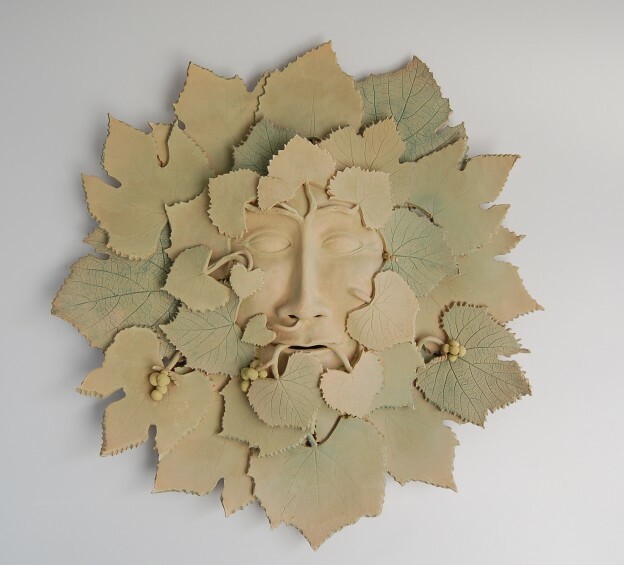 To read more about the process of building a green man see the Women of Appalachia post. 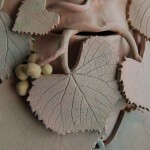 This entry was posted in New Work, Uncategorized and tagged bacchus, dionysus, grapes, Green Man, new work, sculpture, wine on January 15, 2014 by Carol McDonough.